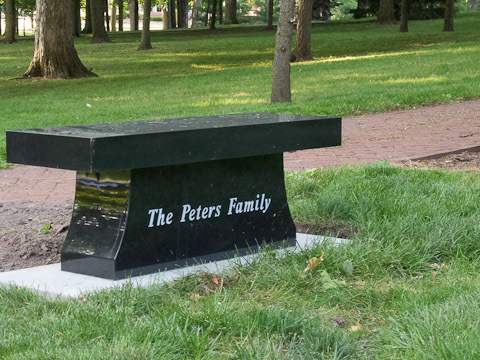 Stroll straight north of Detchon Center (Yandes Hall) and you’ll now encounter “The Peters Family” bench. It’s positioned to take maximum advantage of a view of the Arboretum. 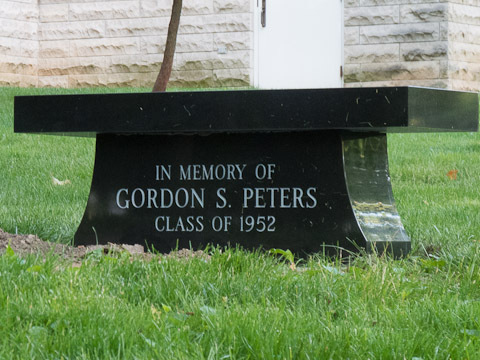 Gordon Peters ’52 was an important member of the Wabash community for many, many years. He was crucial in the efforts to renovate the Phi Psi House and played a big role in the Class of 1952 reunion gift for their 50th. Gordon’s family wanted to offer a similar insight into the beauty of Wabash and funded this bench for all to use and enjoy. 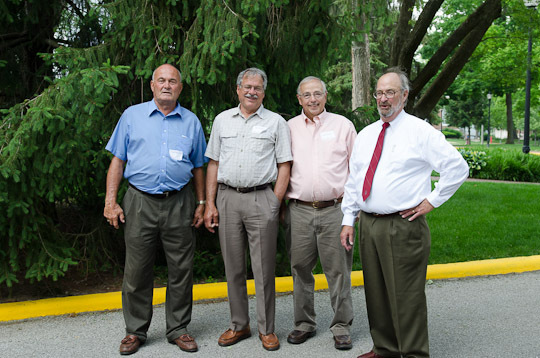 Bet we’ll see some of those 1952 guys, back for their 60th reunion this weekend, enjoining the view. 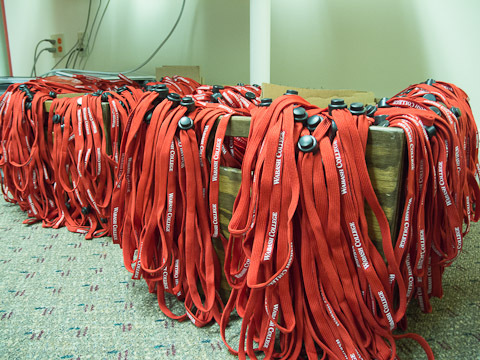 We built all the packets for the Big Bash yesterday…375 packets in all. Here you see the three boxes of name tags that have also been prepared. Overall Bash record is 389 alumni…might be getting close! Charles is now also looking into the Foreign Service. Memorial Day Weekend – Be Safe! It’s Memorial Day Weekend. The Indy 500, family cookouts, maybe too much TWR with Indiana temps going well into the 1990s. A time to welcome summer. It’s also a weekend to remember. Set aside your left or right. Set aside the “we should or should not be doing this or that”. Think, for just a moment, about those who have paid the ultimate sacrifice. The people. Guys like our own Jeremy Wright. They didn’t defend your freedom to be heroes. They didn’t do it for any other reason than they felt it was their duty. Most came home…but a lot never returned. Keep their families in your thoughts. 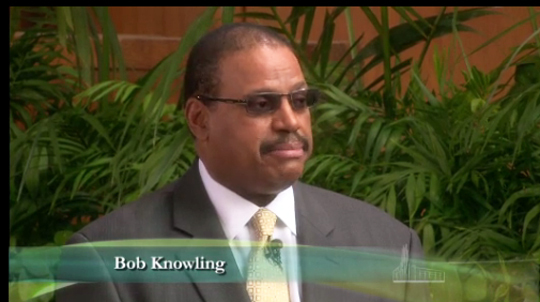 Bob Knowling spoke this past Sunday on the Hour of Power, a world-wide broadcast from the Crystal Cathedral in California. Yes, Bob did mention Crawfordsville and Wabash College. Bob’s life story is a great one and he shared part of that with the audience. Bob made some great points- the video of the program is here. Had an interesting exchange with a loyal alumnus this week. He was explaining to me why he believes alumni don’t support the college. His reasoning was that alumni from his neck of the woods don’t support Wabash because they think we don’t spend enough time and resources recruiting in their area. 1. Wabash is not co-ed. 2. 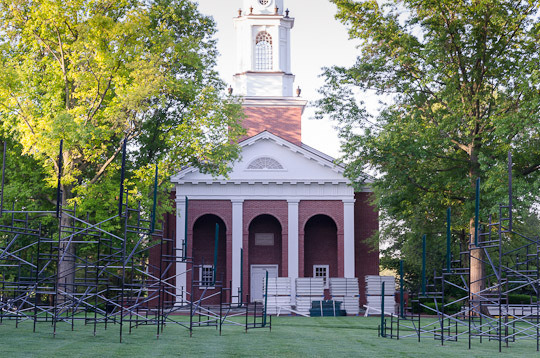 Wabash is going co-ed. 3. 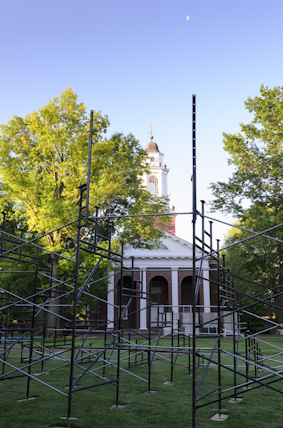 Wabash replaced C & T with EQ. 4. Wabash isn’t the same as it was in my day. 5. Wabash hasn’t kept up with the times. The bottom line here is simple, I believe. 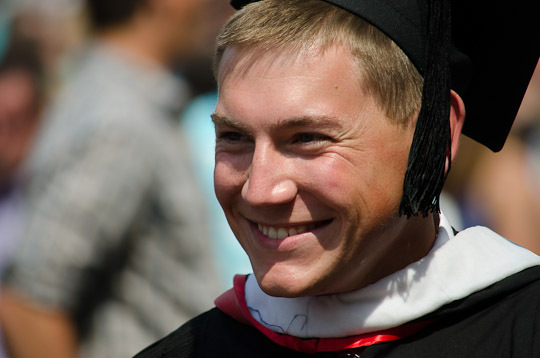 Alumni before our time, whenever that was, felt that their Wabash education was important to their growth and success. They then decided to invest in you and me. Now it’s our turn. Sure, Wabash isn’t perfect and never will be. 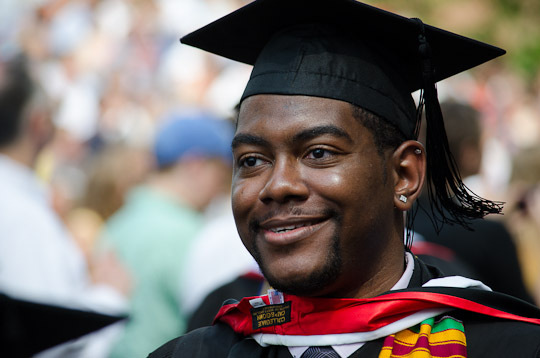 But those young men who graduated last weekend are ready to change the world. 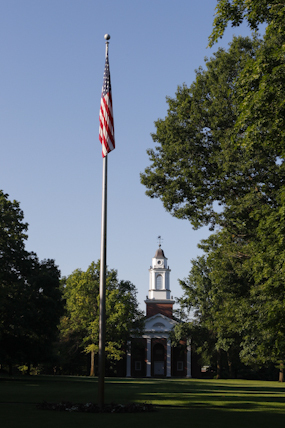 They’ve studied in C’ville…and in Europe, Central America, and Africa. They’ve interned with companies near and far. They are headed to Georgetown, Chicago, and IU-Bloomington Law…and Eli Lilly as well as many other places under the sun. Be proud of them…and keep “This Good Place” getting stronger and stronger. Here’s the link…tell them a poor, dumb fighter pilot sent you. 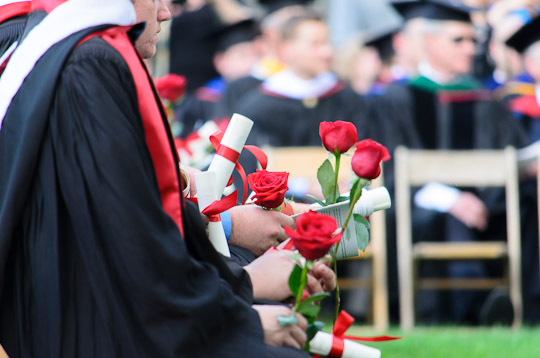 Dr. Stephen Miller ’64 (right in photo) was back at Commencement from Nemea, Greece where he now lives. He was on campus to receive an Honorary Degree. He’s a world famous archeologist. In 1973 it was his team who uncovered the site of the Panhellenic games at Nemea. Given Cal-Berkeley and Greece, you’d think his Indiana roots would be old and forgotten. Not true! When he came to campus last week, he also had three friends from his old school days at Jimtown join him. I caught them touring campus after Commencement. Real friends are friends forever. Yes, they are just as cool as in my/your day – you know, back in the golden days of Wabash! 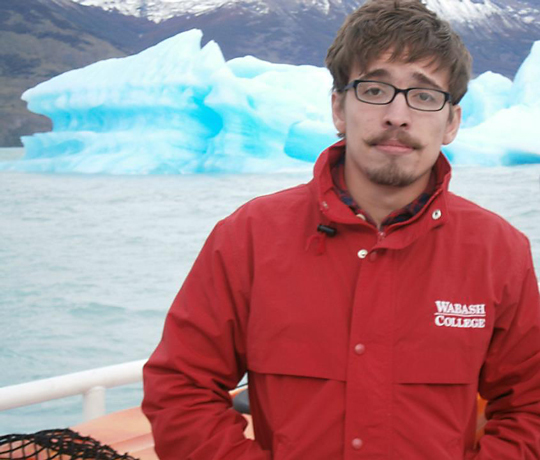 Still sheepskin…still Latin…still Wabash. More than ever before, I think, they are also worldwide passports. The Class of 2012 has been learning around the world and their life journey will be in a world much smaller than mine. I also hope much safer. I have great confidence in the world of tomorrow. 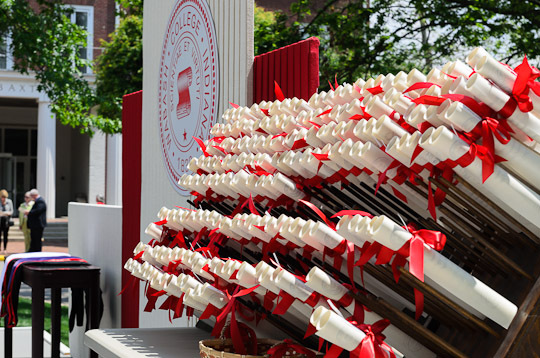 Commencement 2012. the 174th at Wabash…but who is counting, anyway. The Class of 2012. A Triple Distinction on Comps…first in history. Medical schools await…so do Law Schools. But so does an NFL tryout…and a MLB one as well. Lots of great guys headed in a million directions. But on this Sunday…they were all together…probably for the last time in their lives. 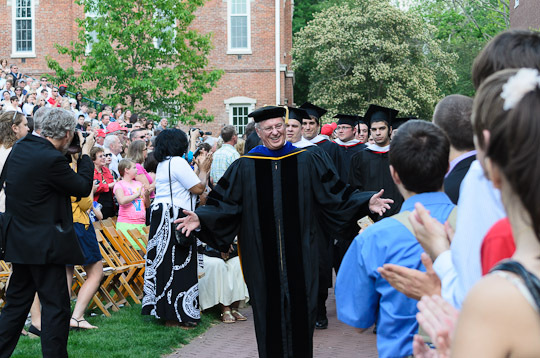 President Pat White, in a fairly new tradition, led the guys through “the archway.” No more fearing to fail – they made it! The expressions carried every emotion under the sun. Most, though, were like Greg Huey, who received his degree in English. Greg has worked along side us in Advancement…he’s been a real stalwart. He’s change this world a bit…I’m sure. Good luck to you, my friends, the Class of 2012. It’s Friday. A walk across campus this fine morning shows the outward signs of the passage of another year. The Commencement bleachers are going up. For the seniors…the reality of “no more papers here” is matched by the equal reality of “no more spring breaks”. The Class of 2012 is a good one – a bunch of talented guys who have become good friends. The Grunge wishes them all the very best!